There's nothing quite like a faery to put a smile on your face, especially if you'll be attending one of Britain's many fairy festivals this year. 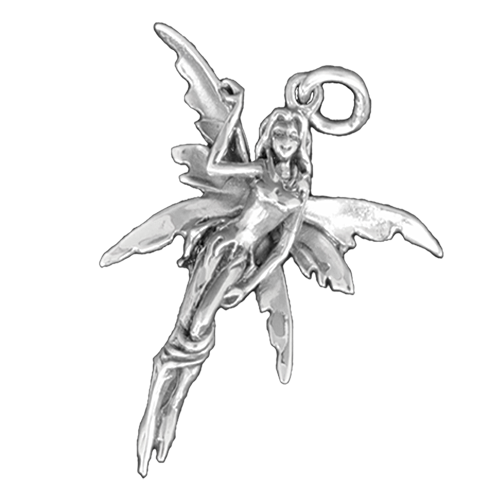 Signal your passion with this pretty pendant in pure, shiny dark silver, depicting a happy fairy with gossamer wings and floaty clothing. She'll embellish any outfit perfectly and she might even bring you good luck – you never know!